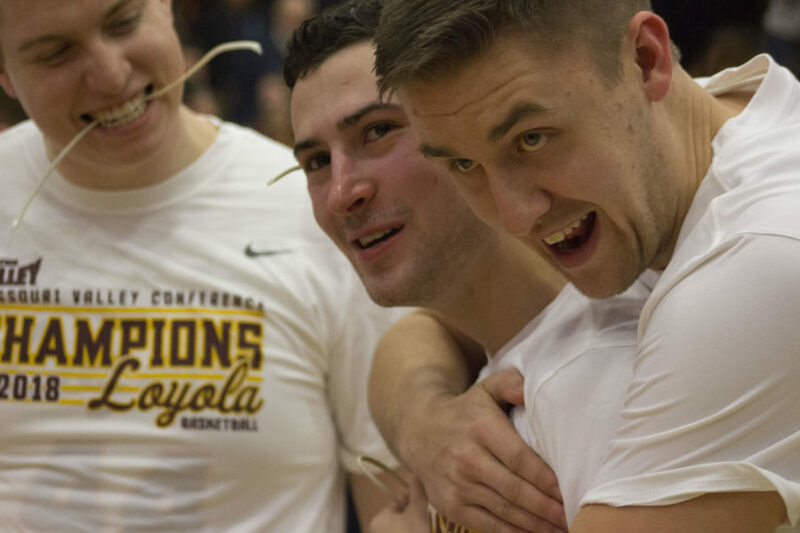 Hanako Maki | The PHOENIX The Loyola men's basketball team celebrates its 2018 Final Four appearance. 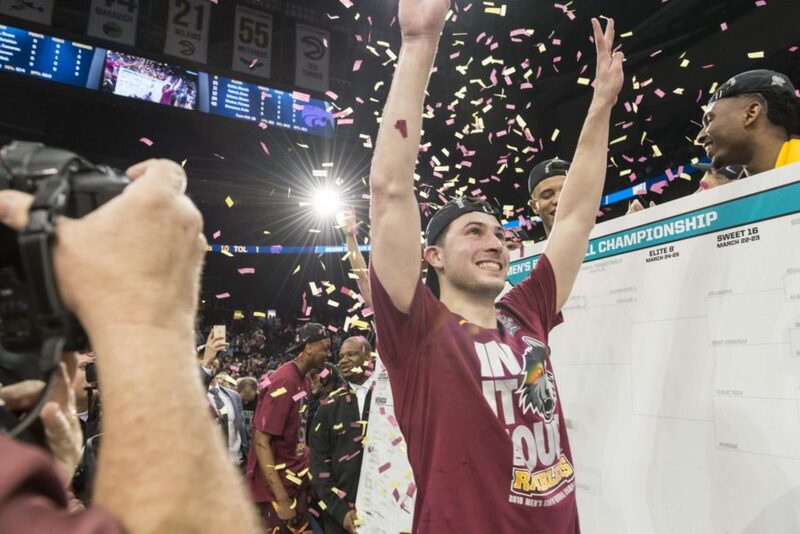 Central figures to Loyola’s run through the NCAA Tournament last year, Loyola 2018 graduates have continued their basketball careers post-graduation, and criss-crossed the globe in the process. These graduates — Donte Ingram, Aundre Jackson, Ben Richardson and Carson Shanks — joined a series of former Ramblers who’ve pursued professional basketball in Europe and the U.S. after their collegiate careers ended. 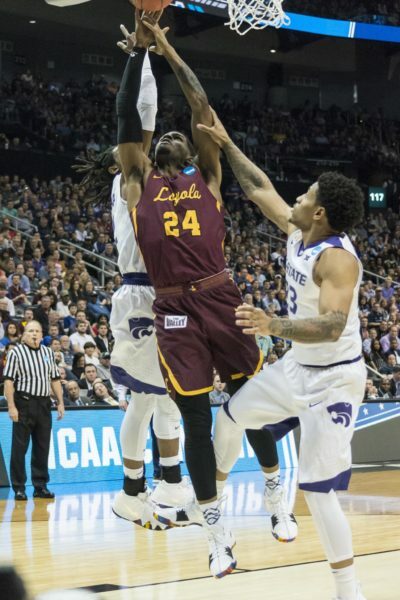 Beginning with the 2017 Missouri Valley Conference (MVC) Sixth Man of the Year, Aundre Jackson arrived at Loyola in 2016 as a junior college transfer from McLennan Community College in Waco, Texas. A key reserve during the Ramblers’ run to the Final Four, Jackson finished his career in Rogers Park as the program’s all-time leader in field goal percentage at 62 percent. Jackson has continued his career in Borgarnes, Iceland, where he’s become a key contributor for Skallagrimur, a team in Iceland’s top division. Completing his first professional season March 14, Jackson finished with averages of 19.9 points and 8.3 rebounds in 19 contests. 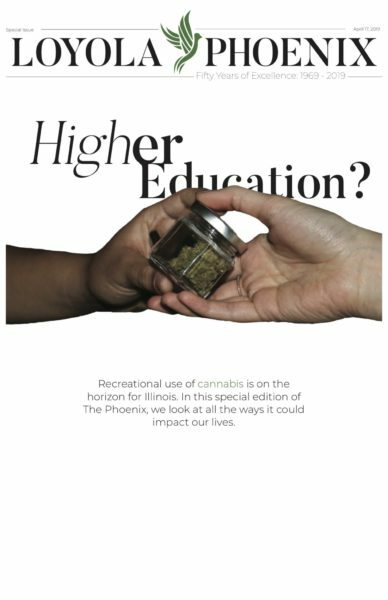 Hanako Maki | The Phoenix Former Loyola forward Aundre Jackson puts a shot up against Kansas State University March 24. After wrapping up his first professional season, Jackson said he’s keeping his options open as he further pursues his basketball career. Richardson, the 2018 MVC Defensive Player of the Year, was a four-year letter winner and was considered Loyola’s best defender last season. 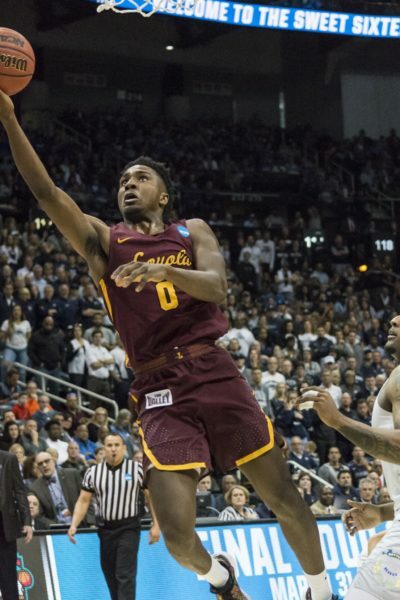 Finishing his final season averaging 6.9 points, 3.0 rebounds, 3.8 assists and 1.2 steals per game, Richardson secured the NCAA Tournament South Regional Most Outstanding Player award in his final season as he erupted for a career-high 23 points to defeat Kansas State University and send the Ramblers to the Final Four. Hanako Maki | The PHOENIX Loyola’s Ben Richardson celebrates after the team made it to the Final Four and he scored a career-high 23 points. Post-graduation, Richardson considered a variety of avenues to continue his basketball career as he worked out for a series of NBA teams — including the Chicago Bulls — before signing with MKS Dabrowa Gornicza in Poland. In his first season, Richardson is averaging 10.1 points and 3.4 rebounds as the starting point guard for Gornicza. Through 23 games this season they’ve collected an 11-12 record in league play which ranks sixth out of 16 teams. 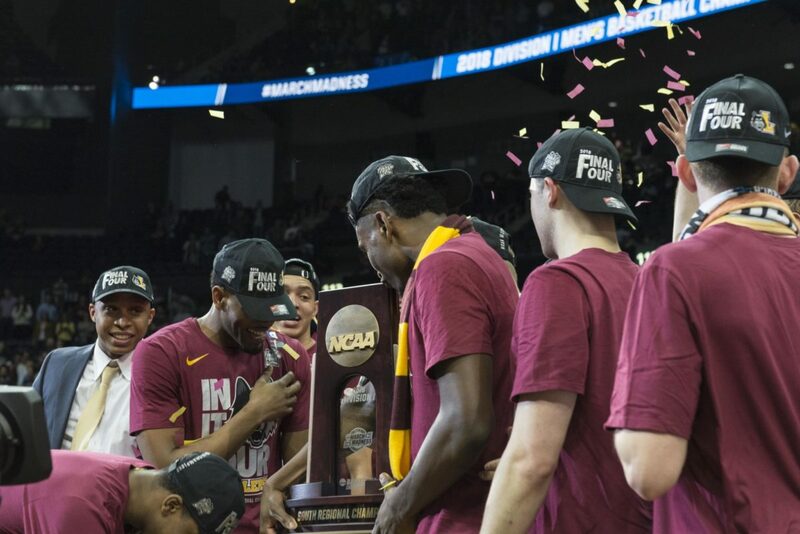 Ingram, known for his last-second shot to defeat University of Miami in the NCAA Tournament, is the only Rambler to stay in the U.S as he signed with the Texas Legends, the G-League affiliate of the NBA’s Dallas Mavericks. A Chicago native and graduate of local powerhouse Simeon Career Academy, Ingram and Richardson were the winningest graduates in Loyola basketball history as they helped accumulate 89 wins over their four years. Hanako Maki | The Phoenix Former Loyola guard Donte Ingram averaged 11 ppg and 6.4 rpg last season en route to earning second team All-MVC honors. Working out for several teams post-graduation in preparation for the NBA Draft, Ingram eventually signed with the Bulls’ NBA Summer League team. Finishing with averages of 6.0 points and 4.8 rebounds over five games, Ingram impressed several NBA teams and eventually signed with the Mavericks on an Exhibit 10 contract Oct. 8. In his first season in the Mavericks’ organization, Ingram has played exclusively for their G-League affiliate, the Texas Legends, where he’s averaged 3.4 points and 2.0 rebounds over 40 games including six starts. Neither Ingram nor Richardson responded to a request for comment. A graduate transfer for the Ramblers in 2017-18, Shanks had previously completed four seasons for the North Dakota State University Bisons after initially starting his college career with Utah State University. In his lone season in Rogers Park, Shanks was a contributor off the bench for the Ramblers as he finished the season with averages of 0.8 points and 0.3 rebounds per game after being limited by a series of miscellaneous minor injuries. Henry Redman | The Phoenix Carson Shanks (right) celebrates winning the Missouri Valley Conference regular season with Ben Richardson. Post-graduation, Shanks signed with Gzira Athleta Basketball Club in Malta, where he competed for four months before deciding to return to the United States as an assistant coach for North Dakota State University. Deciding to prematurely retire from playing professional basketball, Shanks said this decision was prompted by a variety of factors including complications with his travel visa. Despite this difficulty, Shanks said the opportunity to coach was one that he’s sought since he started playing basketball. Although he didn’t receive big minutes during his only season in Rogers Park, Shanks said he was happy to be a part of such a historic team and one that helped transcend the program as a whole.